There are so many things wrong with this. 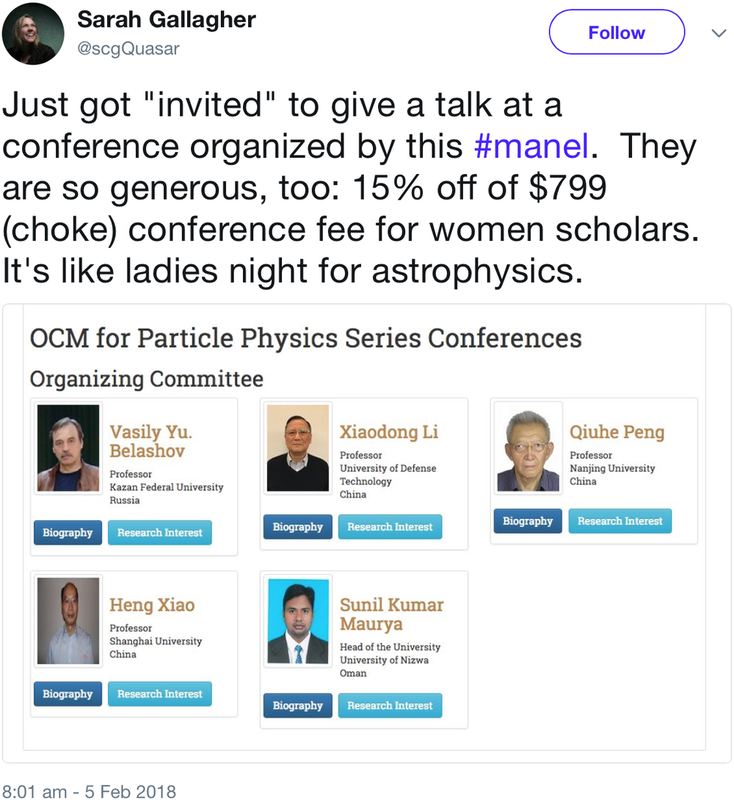 Never mind that the 4th International Conference on Astrophysics and Particle Physics was organized by an all-male committee, but what were they thinking offering “women scholars” a discounted rate? Probably not “women are paid less to do the same jobs as men, but their expertise is valuable, so maybe we should offer them a discounted admission rate.” Sarah Gallagher’s snarky response, though? Totally worth the full price of admission.